We Buy Houses Cash Miami – How We Can Help! Home » We Buy Houses Cash Miami – How We Can Help! Selling a piece of property in South Florida doesn’t have to be a difficult endeavor. We buy houses cash Miami helping homeowners get rid of their burdensome properties for cash in hand! Can we help you? Here at Your Florida House Buyers, we buy houses cash Miami in a no wait, no hassle process that has been of assistance to many homeowners all across the state of Florida. With our team, you can sell your home in a quick and easy process without having to clean or make any repairs. We even step in and take care of commissions, fees, and in some cases the closing costs on your sale! 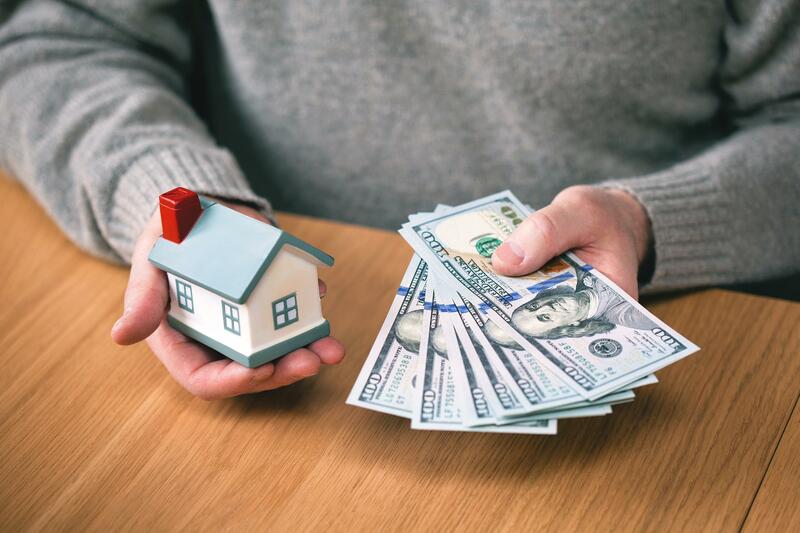 We Buy Houses Cash Miami – Who Do We Help? A more important consideration than who we are able to help is who we cannot help. Our company’s services are not for individuals looking for an under-the-table type deal for selling their home. If you are someone who isn’t comfortable with that policy or is looking for an “off the books” type of deal, selling your house to us isn’t the answer. However, Your Florida House Buyers are the best solution for individuals seeking to sell their property quickly for cash. This includes people experiencing financial issues derivative of home ownership, inheritance issues, and frustration regarding home ownership, or someone that simply wants to be rid of an unwanted and burdensome piece of property. Anyone who has owned a house knows that homeownership is accompanied with a variety of responsibilities and that the situation can become quite difficult at times both emotionally and financially. If owning a home has become financially burdensome to you, or if you’re a landlord with tenants that have been giving you issues, this is an unfortunate situation that can cause much unwanted and unneeded stress. You may realize that you need assistance, or want to be rid of the property altogether. When this happens you will likely feel that there is nowhere for you to turn, and begin drowning in worry and willing to do anything to sell your home. The question is, how exactly do you find the right buyer willing to pay a fair value? Your Florida House Buyers is the preeminent solution to variable real estate concerns. We are based right here in Miami and are not part of a larger corporation. Our mission is to help people in our community sell their homes for cash, buying the property in AS-IS condition. This can save you months of financial suffering, unnecessary stress and anxiety, or even stave off and prevent foreclosure. We are a leader in South Florida at buying houses cash. The homes we buy can be rundown and in need of repair, even damaged. The best part for the seller? With our policy of valuing and purchasing properties in AS-IS condition, there is no need to prepare, clean, or make any repairs on the house! With our We Buy Houses Cash Miami services, we can help you avoid having to go through another open house, another offer, and another time staking period at the negotiation table only to experience months of waiting and inevitable disappointment waiting for a buyer to attain credit. We help you to bypass the traditional home selling procedures, real estate agent fees, and commissions, all while saving you time, stress, and your hard earned money. Your Florida House Buyers pride ourselves on developing working, harmonious relationships with our clients and have cultivated a positive reputation in South Florida. We are experienced and equipped to satisfy any needs regarding an unwanted or burdensome piece of property in the South Florida area. 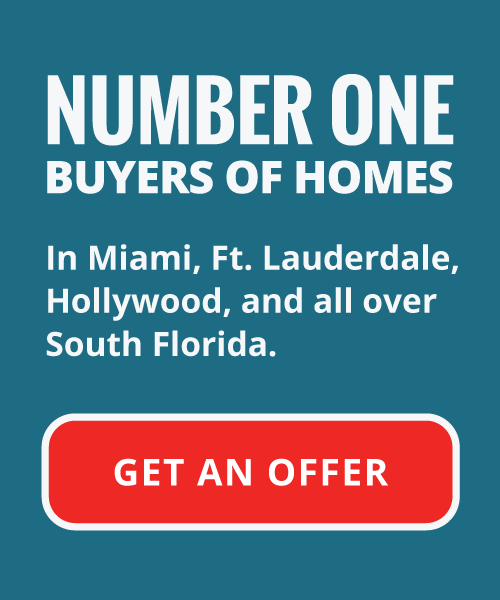 We buy houses cash Miami, directly from home sellers and make all cash offers. This allows our clients to enjoy a fast, stress-free transaction when they need to sell their home quickly. We understand that you may need to sell your property swiftly, and want to do so without enlisting the services of a real estate agent, spending money on repairs, or going through the disappointing process of waiting for buyer financing. We can help you with a variety of real estate related issues including an unwanted piece of property, relocation, dilapidated or out of repair homes foreclosure, downsizing, inheritance issues, negative financial circumstances, divorce, owed liens, or simply an unwanted home. We are here to help you get out of a bind, so long as you let us help. If you have a property in the Miami area and want to sell it, we can help you get rid of the property no questions asked, making an all-cash offer and relieving you of any associated stress. You could have lost a job, or even gotten a promotion requiring relocation, there is absolutely no need to panic because we buy houses cash Miami, and can help you. We know from firsthand experience that sometimes bad things can happen in life with no rhyme or reason. Sometimes even good things can have negative connotations, forcing us into situations where we make decisions we wouldn’t normally have to. The best solutions when these sorts of situations arise is to contact Your Florida House Buyers. Working with us, we can help you each and every step of the way. We take pride in being unlike the traditional style real estate agent. We buy houses cash Miami can help get the job done for you and solve your real estate problems!